After replacing a failed inverter on one of my systems I am now uploading data via pvoutput integration service. 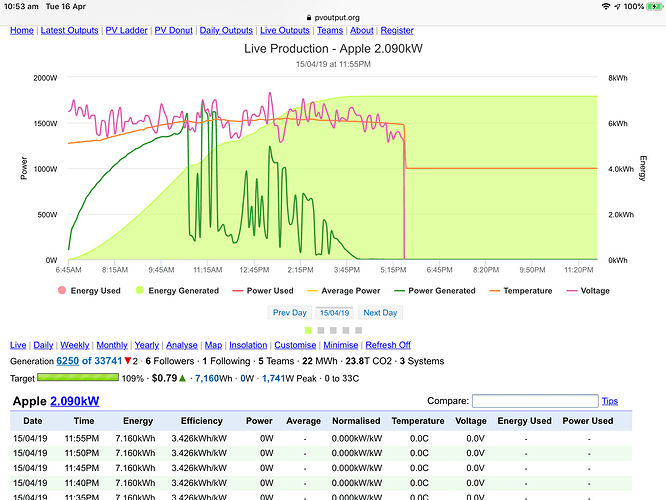 Although the 5 minute instantaneous values look ok the average power values are in 120w increments rather than multiples of 12w previously, resulting in a jagged graph curve. I’m obviously missing something in the settings and need some help to resolve. Samil Solar River 5200TL-D, no serial port to use PVBC. Using network cable to Samil SolarPower Browser and PVOutput integration service to read the log file. Average power is calculated from change in energy. The inverter is reporting energy to the nearest 10Wh which would make average power appear to oscillate in the graph. Thanks, I can follow that and if there is no work around then I’ll ignore the aberration. 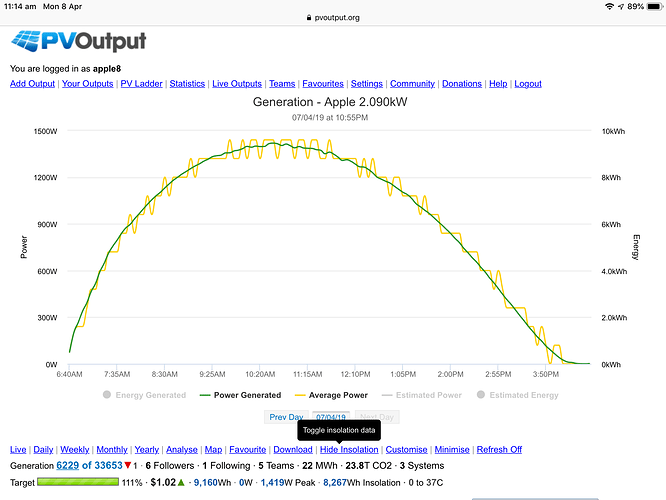 Just a thought, is it possible to not take the energy from Solar Browser and use an average value taken from the power values in PVOutput. Average is only a calculated value shown on the graph/table. Its value is never stored and can be ignored via the Customise link. Thanks, on a partly related matter is there a way to stop recording zeros after production has ceased? is there a way to stop recording zeros after production has ceased? 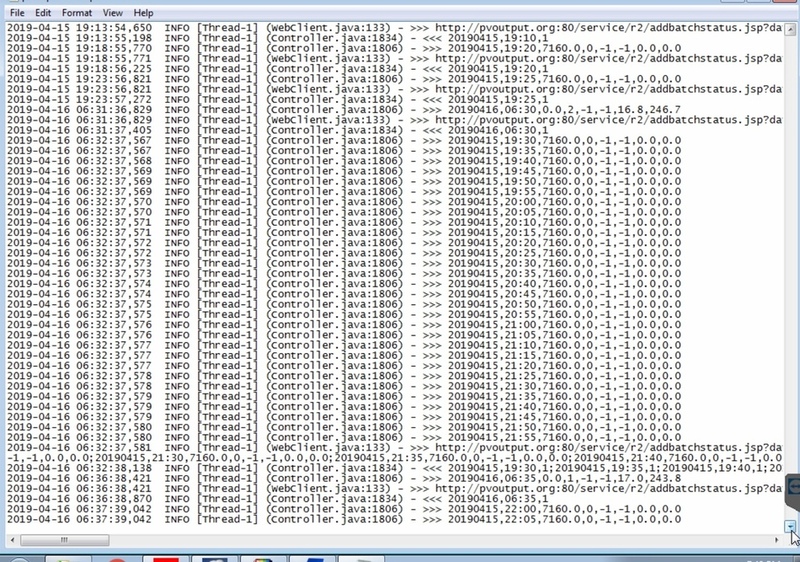 The ‘endtime’ configuration in pvoutput.ini should prevent uploads with 0W after the configured time. Yes, that is in the .ini file and the PVOutput log shows it happening as does the current today graph, however the log file shows that around 6:30am next day it updates with data between 19:30 to 23:55.